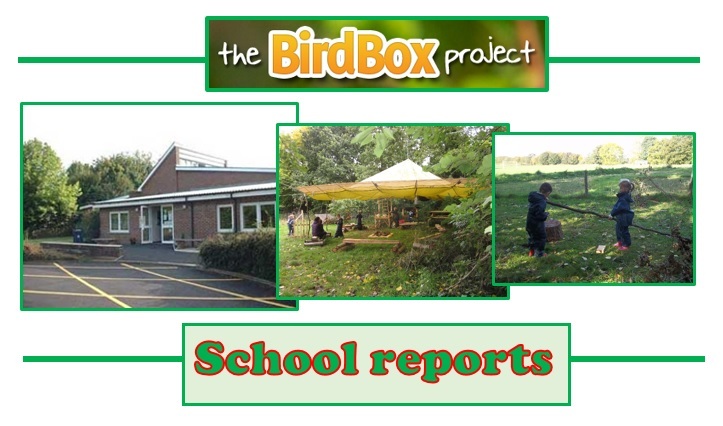 Visit the Schools Reports page on the website every friday to find out what schools in the Bird Box project are doing to develop their school grounds and give nature a home. We organised a Nature Watch. Parents and children were invited to join us on the school field after school. We divided the grounds at the back of the school into zones and teachers were allocated to each zone. Parents and children were given clip boards, recording sheets as well as identification charts. All wildlife found was recorded on the sheets. The Nature Watch lasted for about 1 hour. 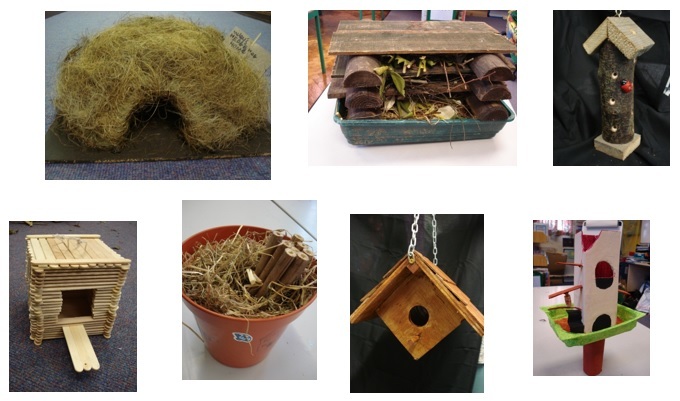 We then set whole school home learning to create a home for nature. The children (and their parents) were incredibly creative. We also took part in the Big Bird Watch and draped camouflage netting over the Friendship House to make a hide. All children spent time spotting and identifying birds.